Lincoln Recent News: Snow Leopards Triumphant in NISSA Tournaments! 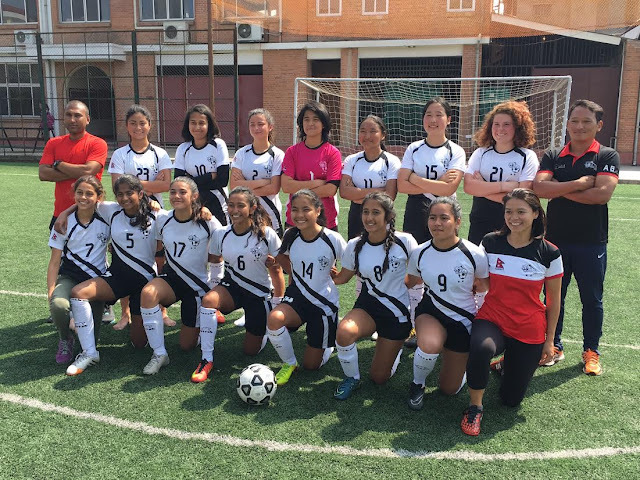 The Lincoln School Snow Leopards celebrated yet more successes in the NISSA Girls' Football and Boys' Basketball tournaments held today (March 25, 2017) on the Lincoln School campus. In the girls' football tournament, the Lady Leopards got off to a great start by defeating GEMS 8-0 in the first semi-final. Later on in the day, the girls played the NISSA Cup final against The British School. In a competitive game, the girls went down to an early goal, but showed good character to battle their way back in to the contest and emerge 5-2 victors. This meant that our Lady Leopards had won both the league and cup double! Karuna Sakya-Hooper was named the tournament's MVP. 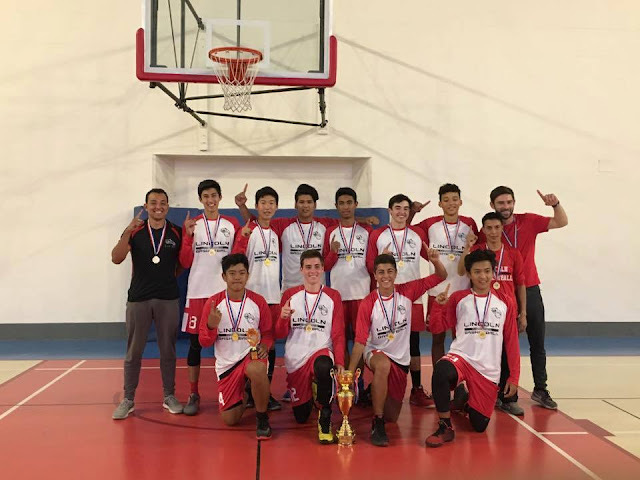 In the boys' basketball tournament, the Lincoln Leopards were out to defend their NISSA trophy and began the game with an intense semi-final vs a high-pressing and competitive KISC team. Despite it being a tight encounter for most of the game, the boys went on a great 10-0 run at the start of the last quarter and KISC weren't able to recover, eventually losing by 12 points. The other semi-final saw GEMS down Rato Bangala, meaning that Lincoln would have a repeat match-up vs one of the teams in their pool. The Snow Leopards dominated the final from the outset, quickly going up 14-2 and extended their lead throughout the game. Despite GEMS possessing some tall players, the Lincoln boys stuck to their task in defense and transitioned quickly with clinical fast breaks. Final score: 47-22. Lincoln have won both the NISSA Girls' Football and Boys' Basketball championships in 2017!